Is there anybody that did not want to be able to handle bow and arrow like the infamous Robin Hood at some point in their life? To learn the art of archery can take years, even though it often looks a lot easier from the outside than it is in reality. Bow and arrow should be handled with ease and concentration, and the flow of movements should be smooth and consistent. If you are interested in trying your luck with bow and arrow, this is your chance: In individuals teams beginners can rise to the challenge and compete with other teams in a small tournament, in which fun and learning come first. You know how it is: Every boss wants the creative ideas and performed tasks of the staff to hit the bullseye. Understandable. Teamgeist wants to provide you and your team with just this sense of achievement and success – paired with a lot of action and fun – away from everyday work life. An archery team event seems to be the obvious choice, right? A tad of Robin-Hood-feeling, physical activity and friendly competition among colleagues – this could be your personal team day. Outdoors, in the open air, in a new environment, colleagues can relax, recharge their batteries and take aim – whether archery Munich or archery Cologne as well as many other locations, you archery event with teamgeist is just a few clicks away. As market leader in terms of team building, teamgeist is here for you with more than 20 years of experience when it comes to team events – you have found your ideal partner for an eventful and exciting corporate retreat. This is definitely not going to be a dusty, outdated company celebration. When it comes to archery, there is a lot to learn and experience: The shooting sport, originally one of the oldest hunting methods of humanity and Olympic sport for more than 40 years now, has a lot to offer. 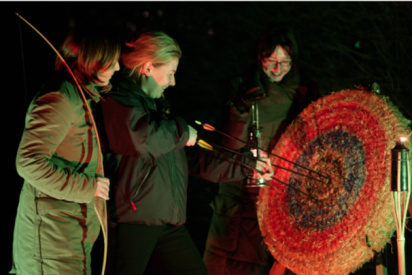 It is not only about handling bow and arrow correctly – participants hereby replenish their batteries in a relaxed and playful way, while inspiring and motivating each other, and integrating new colleagues into the team through cooperative support and encouragement. Nowadays, archery is also applied in the therapeutic and meditative field, because its procedures and movements do not only require concentration and a little bit of strength, but they also emanate peace and tranquility. Teamgeist provides you with a mobile archery set-up with bows and arrows that can be booked for a minimum of one and a half hours. In addition, the package includes the necessary safety gear as well as supervision of and guidance through the event by our trained and experienced team guides (depending on the number of participants). The good thing about this event – it can take place completely independent of the weather, since outdoor roofing or rain ponchos are available. 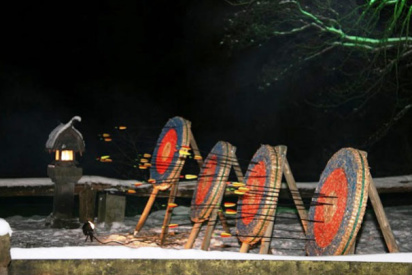 And if you end up booking your archery event in Munich or in Cologne on a date during the winter season, the event is topped off with an exceptional flair through charming torchlight and hot wintery drinks – what an experience! Another highlight is the by teamgeist prepared photo documentation of your archery event. Our team guides take pictures during the event, which are available for all participants in a protected online gallery – that way your extraordinary trip will leave you with unforgettable memories and souvenirs for weeks to come. 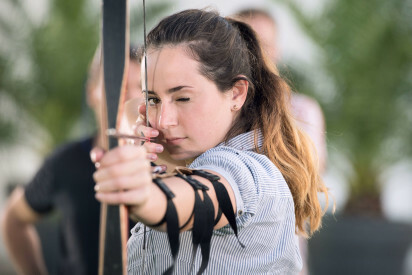 After your colleagues have familiarised themselves with the bow and arrow, they can put their newly acquired skills to the test during a small archery tournament. We focus on the fun and everyone receives a teamgeist certificate as personal reminder of this wonderful team experience. 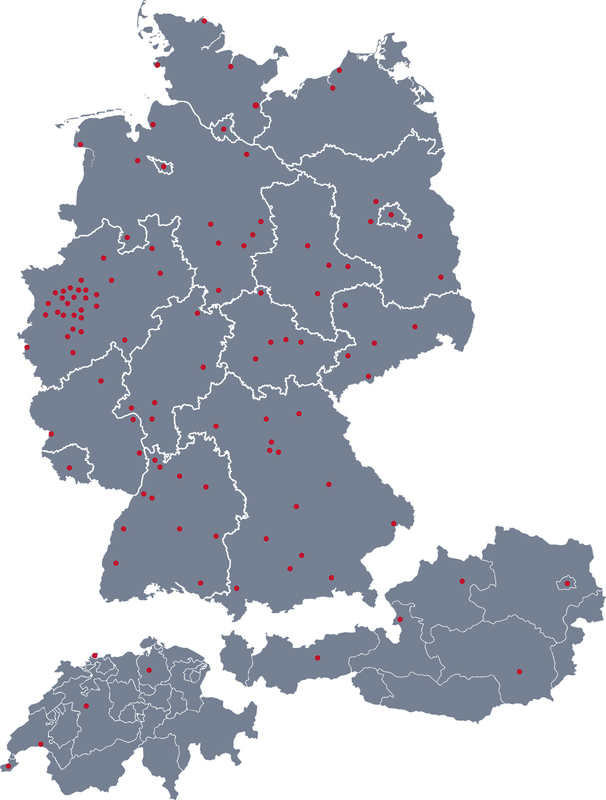 You read it right: teamgeist takes on the entire planning and organisation of your team event – you basically do not have to lift a finger. Aside from the first contact, we will gladly take all the work off your hands. Organisation and execution of the entire event, potentially needed bus transport and accommodation…your company is in good hands with teamgeist. If you are merely interested in one activity, send us a non-binding request per phone or via the web form, and most of your work is already done. Teamgeist has a clear list of priorities for your corporate retreat or event: issues like improving the working atmosphere, conflict resolution, strengthening trust among colleagues are – aside from fun and relaxation – at the core of our events. Eventful, action-packed and experience-oriented events that bring all colleagues together at one table, can work true wonders for a stronger sense of solidarity and team spirit within your company. Such an event, however, can also be a simple recognition of or reward for hard work and completed projects, and it can motivate for upcoming and challenging tasks. No matter, what brought you to us – we are looking forward to professionally and competently assisting you with your request.